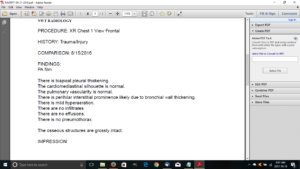 I started coughing, had x ray, please explain results? 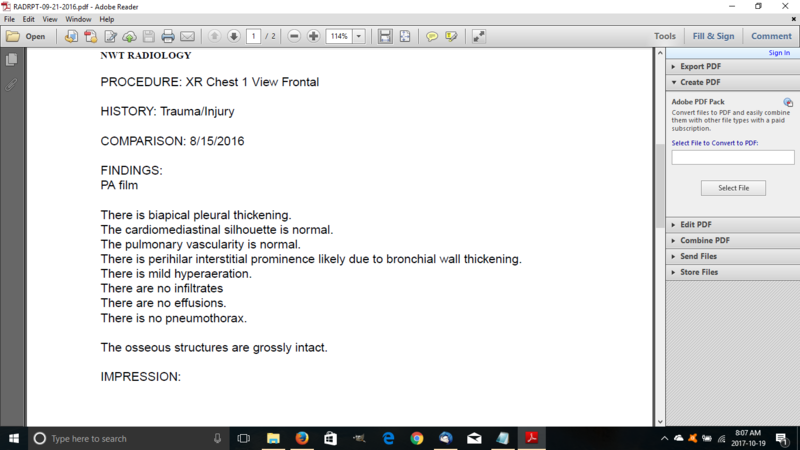 My Dr never mentioned anything about my chest x ray showings. 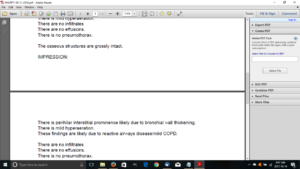 Upon reading the report from the radiologist his report shows: biapical pleural thickening, perihilar interstitial prominence, mild hyperaeration. I don’t even know what any of this means. I haven’t had any symptoms until recently I started coughing and getting winded going up stairs, but aside from that I’m healthy. My 50 year brother did a chest X-ray here are results, what do we do next? My 50 year brother did a chest X-ray that came back with the following result: Moderately Enlarged Cardiac Size with CTR =0.57. Unfolded Aortic Arch. Increased Hilar Bronchia Markings. No Obvious Bone Fracture Or Dislocation. No obvious Effusion. Impression: Cardiomypathy (HHD) with Associated Chest Infection. Please what does this mean and what do we do next. Thanks s lot for caring and for your anticipated answer.